Hassan Rohani: Iranian People are Angry over America, Israel and Saudi Arabia. 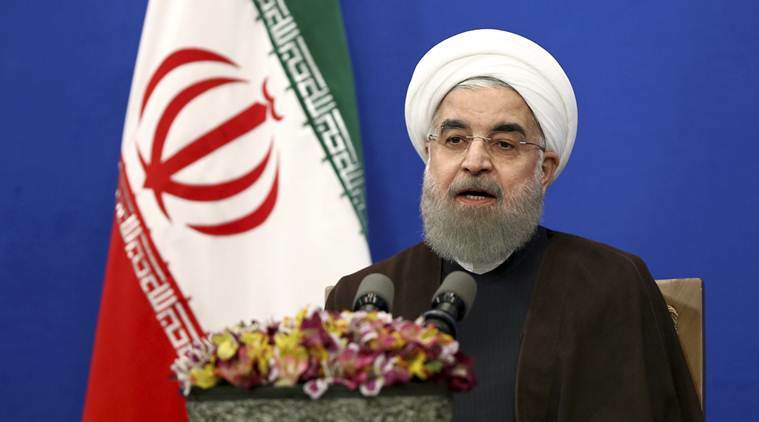 Iran’s President Hassan Rouhani has claimed responsibility for the poor economy of the country, calling upon the US, Israel and Saudi Arabia to the public that they give bad luck to these countries. Hassan Rouhani told the Iranian public that “give all their bad claims to those who have created the present period, including the US and Israel,” according to the news agency news. He also accused Saudi Arabia. It was believed that there was a nuclear deal in Iran between other Western and Islamic powers, including Iran, under which Iran’s sanctions were removed from Iran. But Donald Trump decided to hand over the agreement last year after becoming US President Iran has announced to restore permissions. After the US sanctions, Iran’s economy suffered tremendously and after the re-election of Hassan Rohani, last year, due to the weak economy of the country. The masses and other constituencies within the country have intense pressure on the government. They set these countries responsible for the weakness of the domestic economy.